Ashalah Michelle Wright, at the age of 12 years old, decided against all odds that she would live out her dream. Ashalah Michelle’s dream was to become a pastry chef and she had no plans on waiting until she reached adulthood. She has now took her place in the culinary world as a teen celebrity pastry chef, business owner, philanthropist, and writer. Founding Cook Me Up A Notch and The Kid Chef Dreams Academy in February of 2016. She is a published author, speaker, Jr. pastry chef, and teenpreneur looking to grow her business in order to afford her more opportunities to inspire kids all around the world to believe that their dreams too, can come true! My vision is to LIVE to INSPIRE you to DREAM your BIGGEST DREAMS, in order to PASSIONATELY LIVE your GREATEST REALITY! I started my digital magazine, Chione, after experiencing an empty feeling of not knowing my lineage, compounded with not seeing "ME" represented in the media. I chose the name Chione because of my love for my culture and my love for wordplay. The name Chione is an Egyptian word meaning 'The Mystical Daughter of the Nile'. It is pronounced "She Won" -Wordplay. After subscribing to several digital magazines but only seeing a few people of color I decided to do something about it. I've always wanted to share my writing with others and I never received the proper opportunity until, Chione. My goals for Chione is to encourage my generation to change the world. Please keep reading, posting, liking, and supporting us. Caia Mei is a 14-year-old artist from Las Vegas. Having started drawing non-stop since she was two years old, she fell in love with digital art when she was seven. Caia Mei is also a model and actress and has been seen within the covers of Working Mother Magazine, has been on NBC's TODAY modeling Diane von Fürstenberg's collection, and has done a Target Cancer International Campaign to name a few. She describes herself as somewhat quirky, has a great sense of humor, and loves to play practical jokes on her mom or anyone within range. Most of the time you'll find her immersed in a world of digital art, but she also loves swimming and daydreaming about unicorns and daisies. She loves coffee; her favorite ice cream is amaretto with chocolate shavings and brownie chunks; and her favorite dessert is crème brûlée. (a.k.a. everything that sends you to the dentist, but luckily no cavities for her!) Her goal is to be an animator for movies and TV, but she also loves doing illustration work, too. So one day when you see her name on the big screen you can say, "Hey, I know that girl, she's the coffee drinking, practical jokester, who's way too young to be drinking coffee, and way too old to be dreaming about unicorns and daisies!" That's Caia Mei in a coffee bean .... um, we mean a nutshell! Gabriel is a comic book author and illustrator who began his multi media business, Comicffical, in 2017. His comic book, The Adventures of Zak Dakota, is about a kid who was born into a family of superheroes. In The Dakota Universe, every superhero gets their power at 13 years old. The challenge arises when Zak’s father disappears a year before Zak’s 13th birthday and Zak’s plans to use his super powers to find him but wakes up on his 13 birthday with no powers. Zak learns a lot in the quest to find his powers and realizes a lot about himself. Gabriel created this comic because when he was in middle school he went through a very hard time being bullied. He talked to his Dad about what was going on and his Dad talked to him about his potential. Everyone is created with enormous potential and when it is developed it gives us a space around us that is authentically ours. Comicfficial became the tool that Gabriel used to develop his writing and art potential and has grown into a place where readers are inspired to discover and develop their potential. In his spare time Gabriel loves to create new comic ideas, play video games, spend time with his friends and swim. Gabriel is also a community contributor for Juniority! You can find his weekly comic illustrations on our Community Blog page and our social media. I am 15-year-old chef and entrepreneur. I have been baking for a few years now and I have also battled sickle cell anemia since birth. One thing that makes me unique is that my two sisters also are fighting sickle cell! All three of us have a rare sickle cell trait that strikes all female children from my parents. After the tragic experience of witnessing my older sister have a massive stroke in 2014, I learned more about the history of our over-looked disease. I learned about trigger foods and special dietary needs that help people living with sickle cell stay healthy. Since I love to bake, I decided to find new ways to make treats that we love, while keeping them healthy. I have a big sweet tooth, so it was hard to find a way to create the same taste. I kept on testing until I found a great formula that uses organic and natural ingredients. Once my parents tasted what I was making, they knew I was on to something and Nazhi Thee Baker came to life! Nazhi Thee Baker Angel Foundation was started to help children battle Sickle Cell Disease. 14 year-old Nazhi Forrest and her two sisters, Shakarra (18)and Italiya (11), share the rare scenario where all three of them battle Sickle Cell Disease! Even with this daunting diagnosis, The Forrest Sisters never get tired of giving back to their community! 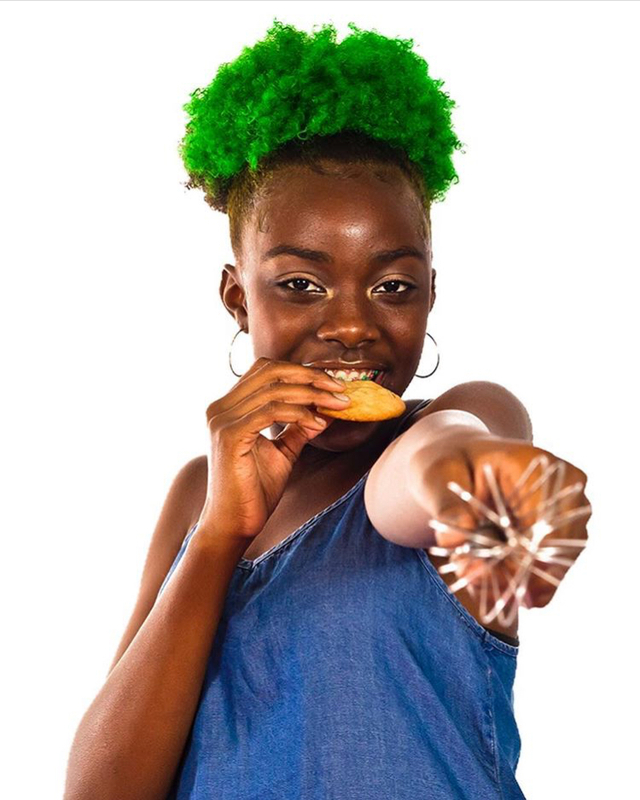 After Nazhi’s older sister, Shakarra (19 years old) had a massive stroke due to Sickle Cell Disease complications, she decided to take her love of baking to make a change! Nazhi came up with recipes for cakes that ANYONE could enjoy; even people battling Sickle Cell Disease or on restricted diets. She uses the proceeds of her cakes to buy toys and items needed by children stuck in the hospital fighting this disease. Most people do not realize that children as well as adults with Sickle Cell Disease must be careful what they eat because of foods that can trigger adverse reactions in the body. This includes heart attacks, massive strokes, organ failure, acute chest syndrome, pneumonia and even death! According to the Center for Disease Control (CDC), Sickle Cell Disease (SCD) affects approximately 100,000 Americans, occurs in about one out of every 365 African-American births and affects about one out of every 16,300 Hispanic-American births! Jabez and Christopher Jenkins are the young innovative designers behind Kings and Gents Accessories. Jabez, 13 and Christopher, 11 are the creative minds who choose, cut and sew the fabrics. They decide which accessories should be made for their line. They started sewing with their mom when they were only 5 and 3. They became curious while their mother was sewing pillows and would reach up to touch the sewing machine. Christopher would sit on her lap and press the reverse button and Jabez would stand by her side and press the foot pedal to keep them safe around the machine. Eventually, Jabez asked if she could take them to the store to pick out cartoon character fabrics to make their own pillows and so she did. Then one day, when Jabez was 9, he asked his mom if he could use the scraps of fabric from the pillows to make 30 bow ties for boys and 30 hair bows for girls for Career Day. During Career Day he was first to sell-out of inventory, and sold out within minutes. At that point they knew they had something special and Kings and Gents Accessories was born. I’m 15 years old and the founder of DB Naturals. School is my number one priority but when not there, you’ll find me on the golf course with my high school team, hanging with my family and friends or at the mall checking out new beauty products. I’ve been very interested in beauty products since I was a young girl, spending hours watching beauty gurus’ You Tube videos and reviewing beauty products on line. I’ve had a dream to create a beauty line for a while. A year ago with my parents’ support, I started working on an all-natural makeup line. I’m so excited to introduce a beauty line that really works and is guilt-free on your face. Like most teens, I love to feel and look good. I wanted to inspire other teens to feel great about themselves and at the same time, know the products they are using are not going to harm them now, or in the future. Some people might think I’m too young, but I have the ambition and passion to really make a difference for people my age. My hope is to inspire other teens to make a difference in their own way. I encourage everyone to be you and do what comes naturally! 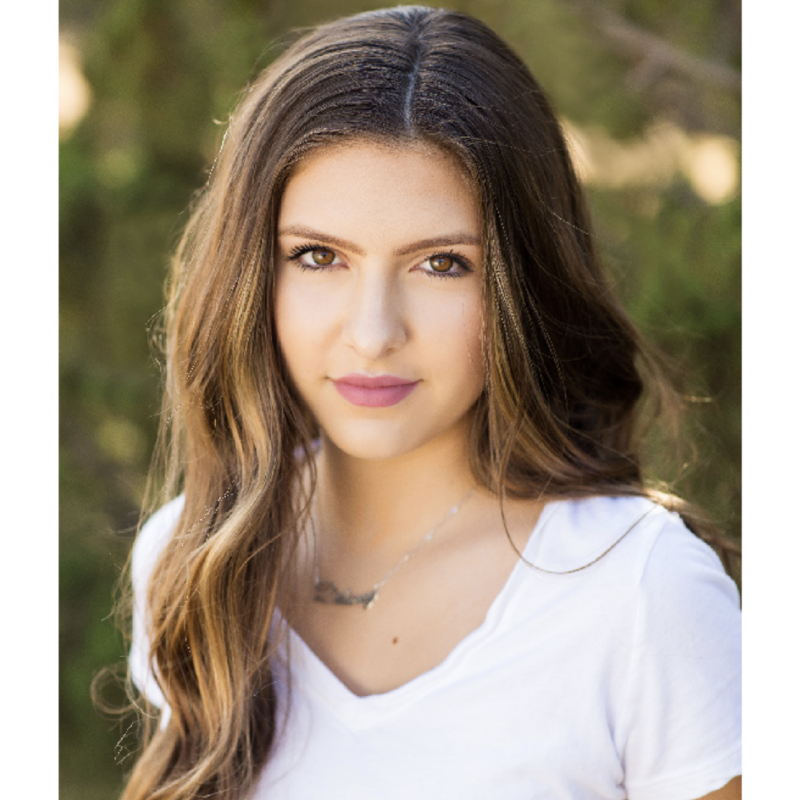 Gabrielle Jordan, now age 18, is the owner of Jewelz of Jordan, a luxury jewelry business, which she started at the age of 9. Gabrielle’s passion for business did not stop there. She is the co-founder of the ExCEL Youth Mentoring Institute; a youth-based online mentoring organization providing mentorship opportunities and educational resources for entrepreneurship and leadership development. Gabrielle Jordan has taken her experience in business and her passion for inspiring others to publish the nationally recognized and #1 Amazon Bestselling book, The Making of a Young Entrepreneur: A Kids Guide to Developing the Mind-Set for Success. With nearly 10,000 copies sold, Gabrielle has been a sought-after speaker with accomplishments such as TEDx and Inbound. Gabrielle has personally engaged with over 15,000 women, business owners and youth through her appearances at major women and business conferences both nationally and internationally, as well as in schools, community events, and through the ExCEL Youth Mentoring Institute programs. Gabrielle currently hosts The UV Effect Podcast where she and her guest share motivational advice, insightful tips and inspiring stories that help listeners define their personal and professional Unique Value. Gabrielle Jordan has been featured on several television and radio stations as well as news and online publications such as TLC, The HARRY Show, Huffington Post and Inc. to name a few. Some of Gabrielle’s clients include Syracuse University, Columbia University, Google, United States Embassy Nassau – The Bahamas, United Way, and the Congressional Black Caucus. Most of all, Gabrielle Jordan is a generous and service-oriented teenager who believes in lending a helping hand and heart to others. She volunteers as a Youth Ambassador for the Tigerlily Foundation, where she supports the mission of breast health, education, wellness and empowerment for girls and women. Gabrielle also volunteers her time to local non-profit organizations supporting youth so she can give back by doing what she loves – educating and empowering youth to excel beyond the expectations of others. Isabella Dymalovski is the founder and GirlBoss of Luv Ur skin, an Australian made Natural skincare range for girls, who at 13 years old was the youngest ever teen entrepreneur on Australia's Shark Tank and the youngest ever brand owner to range in Priceline Pharmacies in Australia wide. In November 2017, Luv Ur Skin launched in the USA and is excited about expanding and growing brand awareness into this market. Luv Ur Skin's Natural skin care products have been specially developed using specifically selected natural ingredients and key plant extracts to ensure that girls have the best possible chance to keep their skin clean, clear and healthy. It is the only teen/tween range to be formulated with the Plantolin, that comes from the Australian Native Plant Centipede cunninghamii, which has amazing benefits and is scientifically proven to be safe and effective to all skin types, even sensitive skin. Izzi's inspiration came from not being able to find anything to buy that was suitable and safe enough to use on her young skin. Being a young girl herself, there is nobody better that understands the market and challenges that girls her age are faced with today and at the end of the day we all want to feel important, happy and confident...Because every girl deserves to be comfortable in her own skin! 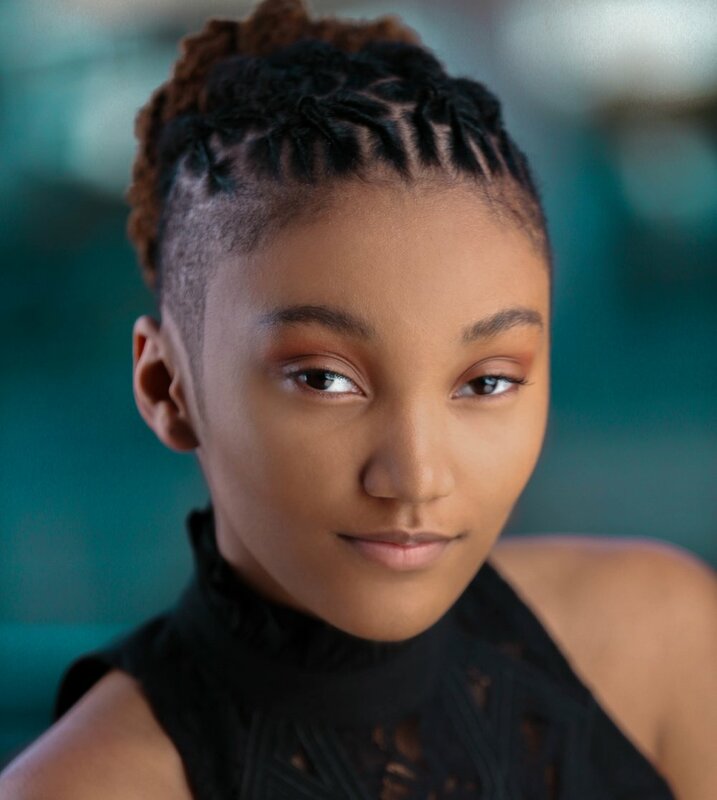 J.K., born Jordan Kristine Seamon is an R&B/Urban Pop Singer/Song-Writer and Philadelphia, PA native that is now based in Atlanta, GA. 15 year-old J.K.’s sound is rich, soulful, and charismatic. J.K.’s influenced by greats likeEtta James and Nina Simone. J.K. established herself as a singer-songwriter with her 1st single, “Glo-Up” Original Philadelphia Eagles Tribute & Remix Featuring, High Defynition, which is scheduled for release on March 5, 2018 and can be found on all music platforms. J.K. recorded her second, self-written title, “Tryna Be Like Me” on February 17, 2018, and it is scheduled for release on April 5, 2018. J.K. has performed in venues from Philly to Atlanta and is currently writing on several projects for artists around the globe. Beauty is an outlet for creativity. A concept, Shaiann Hogan understood from a young age. As a way to channel her individuality, Shaiann experimented in her mother’s makeup and later filmed a makeup tutorial on her Itouch. Upon hearing the news, her mother wasn’t too happy but it was at this moment, she saw passion and desire within her daughter. Qualities, that are known to make a person even greater. Her mother began nurturing Shaiann’s passion while providing her with the tools needed to propel. Soon Shaiann, learned to create her own custom nail polish and believed she could build an empire on something she loved. Months later, Shai’s World was born. Shai’s World is an indie nail polish brand founded by Shaiann Hogan, a fourteen year old from Los Angeles, CA. 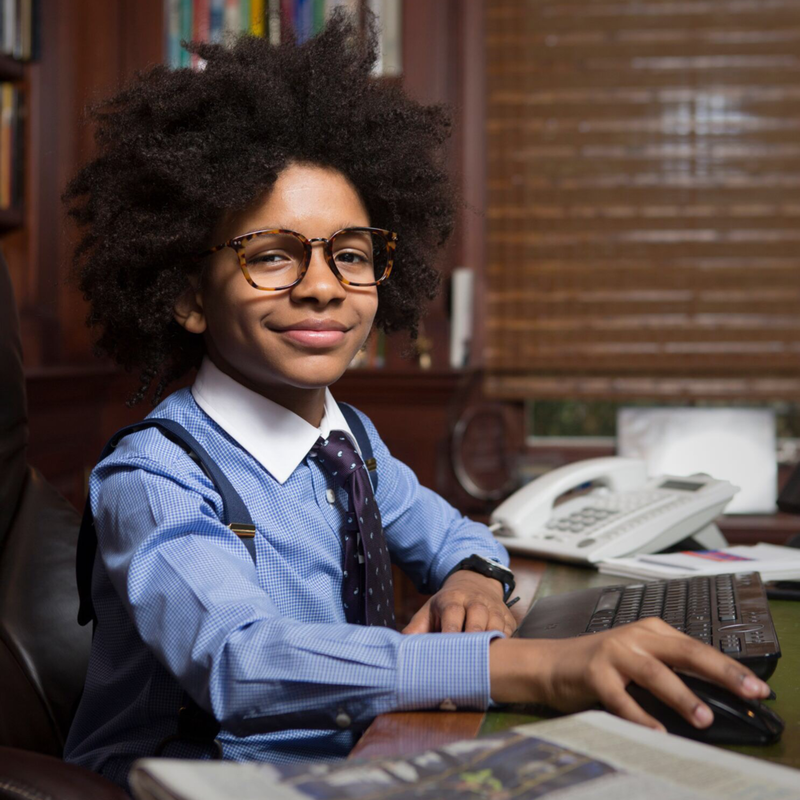 The business was launched in 2015 when Shaiann was only 10 years old. Shaiann wanted to create a fresh approach to the beauty industry by way of creating a vegan and cruelty free nail polish. Shai’s World is free from 5 harmful chemicals to include formaldehyde, formaldehyde resins, toluene, dibutyl phthalate, and camphor without sacrificing quality or performance. With a wide range of shades to choose from, Shaiann not only enjoys beauty but also tumbling, shopping and listening to music. Despite her busy “business” life, Shaiann is grounded in her academics with a competitive cumulative GPA. Since launching her business, Shaiann has appeared on “The Real” talk show, “Harry TV” Show, Good Morning Washington and has been featured in Teen Boss Magazine. Her accolades include receiving the NAACP Women in Spotlight “Young Entrepreneur” of the Year award in 2016, Placing 2nd in the NFTE Urban League Biz Camp, and lastly receiving the “Her Eyes Matter” Black Business Women Rock 2017 award. Shaiann is fueled with both goals and ambition. She reminds us ALL to sparkle and shine. Founded by inspiring sisters who pride themselves in producing and handcrafting the highest quality natural bath and beauty products free of gluten, parabens, sulfates, phthalates, and artificial preservatives. Gabrielle & Brittney use the finest and most delectable organic and natural ingredients to create a luxurious experience each and every time. Zandra Cunningham is a 17 year old entrepreneur from Buffalo, NY. Zandra’s fascination with entrepreneurship began when she was 9 years old; inspired by a simple “no” from her dad. She joined the Kids Biz Small Business Development Center program at Buffalo State College Just shy of her 10th birthday. Zandra is the youngest to graduate from the all adult class of the Minority and Women Entrepreneurial Program at the University At Buffalo, a graduate of Lucky Break University and member of the National Association of Women Business Owners, she teaches classes on entrepreneurship, advising youth and adults on how they too can get started early building their dreams. Zandra started her creative journey mixing up lip balm in her home kitchen, today she has a GMP compliant production and distribution facility. All products are handmade in small batches to maintain integrity and quality. As an eco-friendly small business in Western New York, Zandra is committed to sustainable practices with a priority on how gentle and sensitive teen skin can be. The mission is to create high quality, fun + fresh products that smell amazing but don't have all the unnecessary yucky stuff + chemicals. Zandra has built a brand that gives back, it is about confidence and beauty; she believes that young ladies should be confident in their own skin and learn what beauty is from the inside out. Her hope is to inspire youth to take action and make things happen for themselves and their communities. Zandra is an agent of change, donating up to 10% of all net profits to support girls education. At six years old, Mr. Cory started his cookie business because he was tired of taking public transportation and wanted to buy his mom a car. Not only was he able to get his mom a car, but he is also now making the world a better place one cookie at a time. Made with love, as Mr. Cory says, his all- natural cookies are truly to die for. Since the launch of his chocolate chip cookie, Mr. Cory has expanded his line to include all-natural choices of cookies such as Double Dark, Oatmeal Raisin, Sugar and more to come! Through his cookies, Mr. Cory has been able to work with some of the nation's leading companies and brands, including, but not limited to: Aetna, Barney's, Bloomingdales, Citibank, J. Crew, Macy's, Mercedes-Benz, Pottery Barn, Ralph Lauren, TOMS, Viacom, Whole Foods, Williams-Sonoma and now our partner, Mr. Marcus Lemonis! Angela Lin is a current Senior at Seattle Prep and a rising Freshmen at UPenn’s Management and Technology program, where she plans to get a dual degree in business and engineering. Passionate about driving youth entrepreneurship in the Pacific Northwest, Angela co-founded the first Seattle Startup Week Youth Track and career-connected learning initiative that built meaningful relationships between student entrepreneurs and local technology leaders. She led the successful expansion of an MIT-based youth entrepreneurship program, as the regional director, building corporate partnerships and entrepreneurial communities across the west coast. 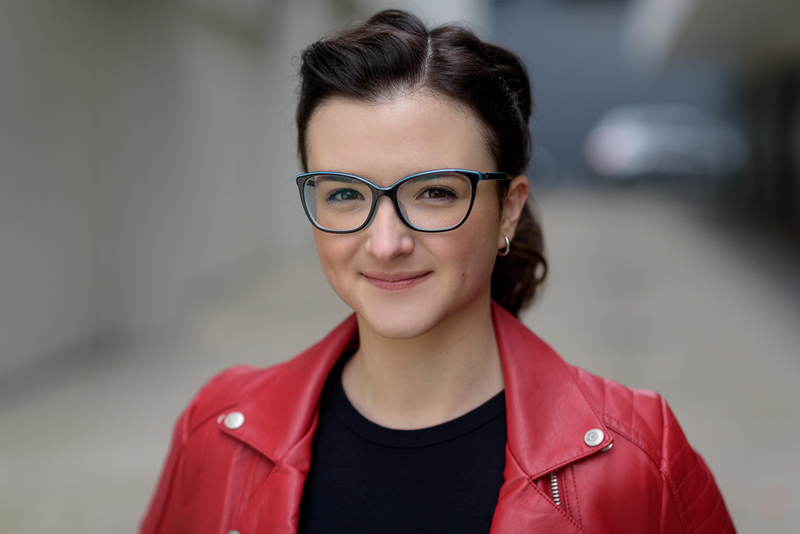 Angela also conducts data science and machine learning research at Microsoft, hoping to use technology to solve problems that businesses and individuals face. With a strong aptitude and passion in STEM, Angela has competed in various state and national math competitions and produced several patent-pending prototypes and applications in product innovation fairs and hackathons. Angela is a nationally ranked debater and Mock Trial attorney and a recipient of the Congressional Award presented by Congressmen Adam Smith having provided over 700 hours serving her local and international community. Angela hopes to continue her journey at the intersection of business and technology, creating startups and conducting data science and machine learning research to develop technological solutions to human-centered problems.